Created by the dynamic team of Rossi and Bianchi, IPNOS mixes illusion with function—and the result is nothing short of magical. LED lights line the top of its skeletal frame, protected by transparent PC diffusers, to fill this seemingly “empty” cube with a soft, diffused light. There is a footswitch button with a dimmer, allowing for customization of output. The fixture includes 196 TOP LED 2700K CRI 85 15W bulbs. 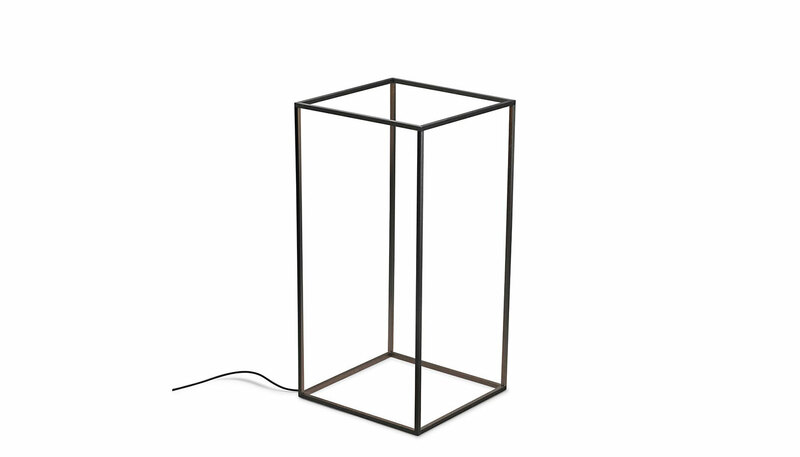 Manufactured by FLOS.